On 8 August 1995 Farida Sultana and seven other women met to discuss the establishment of a culturally specialist support service for Asian, Middle Eastern and African women in New Zealand. Sultana had been working as a volunteer at an Auckland Women’s Refuge and saw a need for culturally sensitive assistance and support. Farida Sultana was originally from Bangladesh, she had once sort refuge with Shakti in the UK when she escaped an abusive marriage. After arriving in New Zealand in early 1995 she soon saw that there was a need to set up support services for migrant and refugee women here. In the beginning, the aim was to provide English language lessons and driving support but there was an awareness that some Asian, Middle Eastern and African women needed help in dealing with domestic and family violence. Soon, the group came across their first domestic violence case - a Middle Eastern woman imprisoned by her husband and who had suffered torturous emotional and physical abuse. Mehbooba was eventually helped to flee the relationship – her case drove the women to set up a permanent specialist support service. By September 1995 Shakti Asian Women’s Support Group had developed a constitution and operational framework – it was officially up and running. 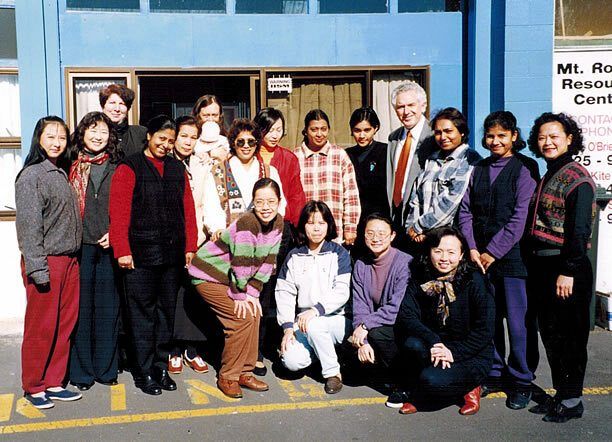 Over the following years Shakti became a well-established national not-for-profit community organisation with facilities in Auckland, Wellington, Tauranga, Christchurch and Dunedin. It established the first refuge for women of Asian, Middle Eastern and African ethnicities in New Zealand that could provide culturally specific support. Shakti now offers a 24-hour multilingual crisis call service for women in violent and abusive situations. Other services include five culturally sensitive refuges, drop-in centres, outreach, advocacy, counselling, psychoeducational programmes, legal referral, an interpreting service, NZQA life skills programme that includes road safety and English language lessons, domestic violence intervention and awareness training for communities. Shakti has lobbied for legislative change to stop forced marriage of minors under the age of 16, and advocated for the Marriage Amendment Bill 2017. A thriving Shakti Youth group has focused on supporting young people, and led protest marches to raise awareness to end violence and discrimination in New Zealand. We have 12 biographies, 5 articles, related to Shakti begins in New Zealand.